New TVB comedy Harmony is a Virtue <以和為貴> held a blessing ceremony on September 30. Starring Joe Ma (馬德鐘), Kate Tsui (徐子珊), and Johnson Lee (李思捷), the light-hearted comedy focuses on the stories of a team of mediators. Is it as intense as the one in ep28 of LW? 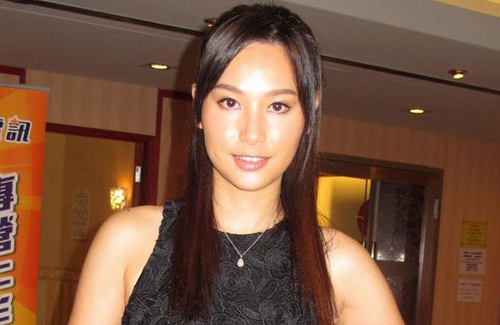 Kate Tsui looks better in the above photo ………….. without extra long fake eyelashes!! Kate looks good without those freaky spider legs lashes. She looks weird in that pic…. Why kate suddenly change look n look like fala chen? btw, kate’s nose looks weird. Too puffy botox looking in the pic. Why would anyone call themselves Carat? She must be crazy about diamonds! typo, she wanted to call herself “carrot”. How many drama this year with Kate? 4th one? Skip AGAIN!!!! Stefan Wong playing another cheating boyfriend/spouse again. Why always cast him in such roles, tvb? I’m looking forward to see Carat Cheung and see how is her acting.